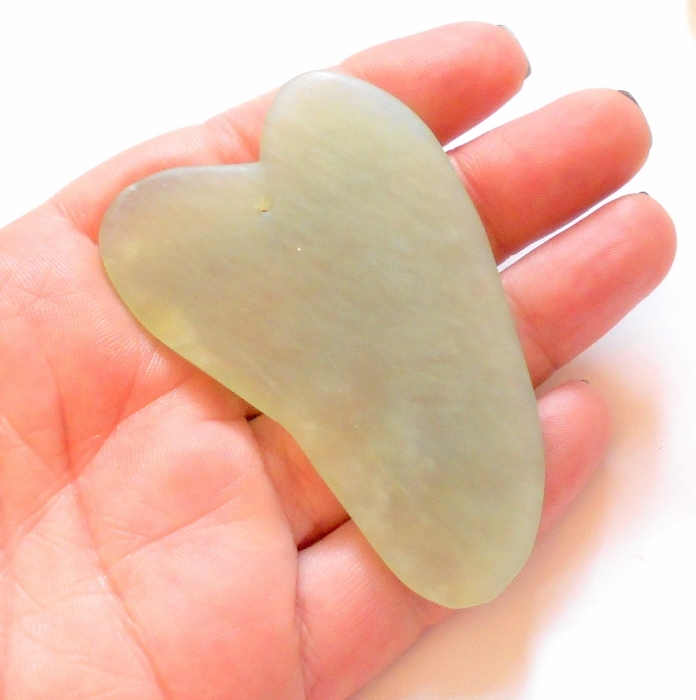 Green jade skin smoothing tool. Jade helps to increase longevity. 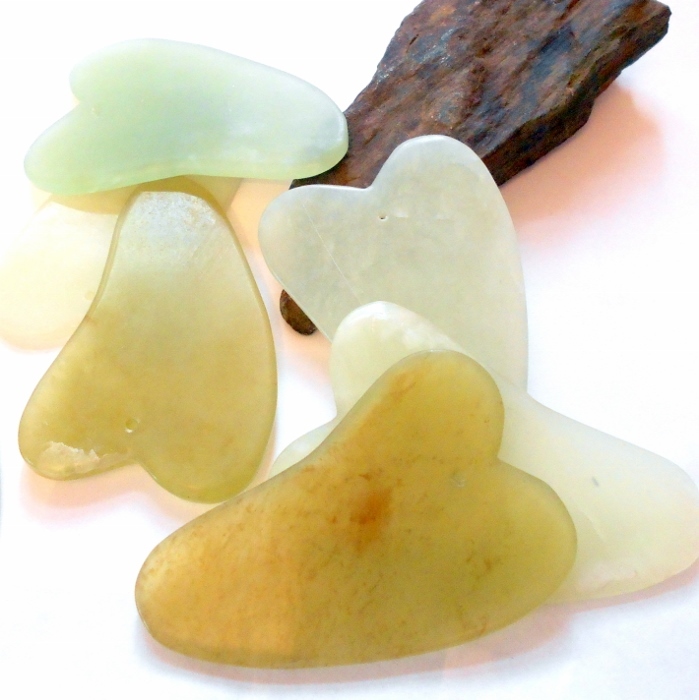 Jade is considered to be a stone that gives confidence, self-sufficiency and increases tolerance. Physically, Jade is is thought to regulate the heartbeat, increase vitality as well as help with the hips, kidneys and spleen. To use, just drag across your skin lightly at about a 15 degree angle, from the center of your face outward. Then move from the hairline down to your neck and collarbone. 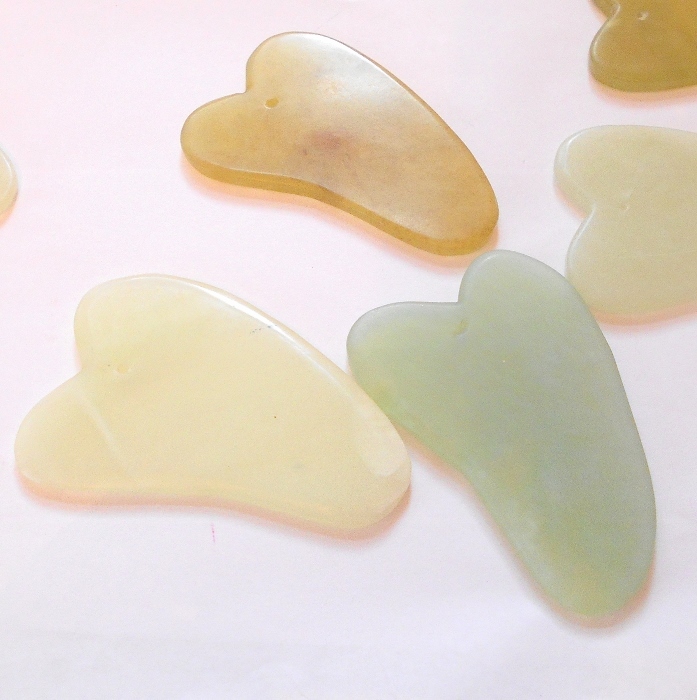 The jade will clear lymphatic fluid, expel toxins, reduce lines and wrinkles, and improve your skin. It can also be chilled in your refrigerator first. Each jade tool is 2 3/4 inches long and has a hole drilled at the top in case you want to string it on a cord. Price is for one piece.